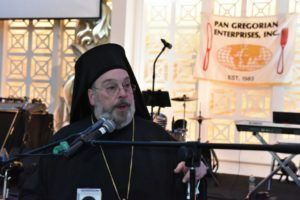 CONSTANTINOPLE – At the Ecumenical Patriarchate’s recent Holy Synod, Metropolitan Evangelos of New Jersey said there is a serious problem at the Hellenic College / Holy Cross School of Theology (HCHC), referring to: reduction of the student body, a dire financial situation, the resignations of Deans Demetrios Katos from the College and Demetrios Skedros from the Theological School, as well as the resignation of numerous members of the Board of Trustees. Evangelos also raised the issue of a director’s criticism of School President Fr. Christopher Metropulos. In the presence of the Synod, which included Archbishop Demetrios, Evangelos said the situation at the School is unbearable. He said Metropulos needs to be replaced. Though Archbishop Demetrios attempted to beatify things, Evangelos countered that the School’s condition is well-known. Extensive discussion also took place regarding the St. Nicholas National Shrine, with comments that its delay is an embarrassment to the Greek-American community and the entire Orthodox world. Demetrios attempted to alleviate the tension, saying he would find the money to proceed, as it is a matter of dignity and prestige. When challenged about his ability to obtain the money considering that those with money do not trust him, Demetrios reportedly said that he called them (wealthy benefactors) and told them they don’t have the right to ask what happened to the money, just as he doesn’t ask them how they made their money. 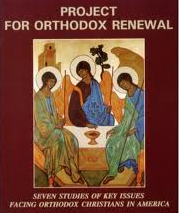 Referring to the report of the Patriarchal Delegation to the 44th Clergy Laity Congress in Boston, MA in July, comprised of Metropolitans Geron Apostolos of Derkoi and Maximos of Sylibria, that there is an issue of Autocephaly in the Archdiocese of America, Metropolitan Kirill of Rhodes said the Patriarchate ought to address it. 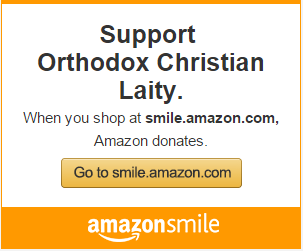 He also said no hierarchs should be ordained in the Archdiocese if they do not know the Greek language. Notably, and as The National Herald had reported at the time, Bartholomew, who was then Metropolitan Ioakim of Chalcedon, and other hierarchs of the Ecumenical Throne acted fast and dissuaded the Ecclesiastical coup that was organized by the late Archbishop Iakovos and the Antiochian Metropolitan Philip and the then-OCA (formerly Russian Metropolia) Metropolitan Theodosius in the Antiochian Village in Ligonier, PA. The late Metropolitan Vsevolot (Germanos) of the Ukraine Orthodox Diocese left from the Synaxis of Ligonier and traveled to the Ecumenical Patriarchate and revealed the whole matter to Bartholomew, and granted TNH an interview. All the hierarchs had signed the declaration of the establishment of “one unified Ecclesiastical Entity,” as they had named it. The Ecumenical Patriarchate imposed on Iakovos and the bishops of the Archdiocese to recall their signatures and the issue ended there. It was at that time that the Patriarchate reprimanded then-Bishop Methodios of Boston because he had written a rude letter to Vsevolot.